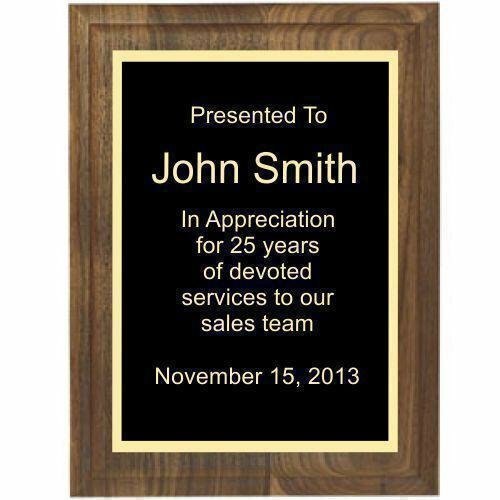 These Premium Wood Recognition Plaques are all made of solid wood, no imitations here. Some of the woods used for these plaques include Walnut, Alder, Cherry and Bamboo. When you want the best quality, these Premium Solid wood Awards are what to choose from. 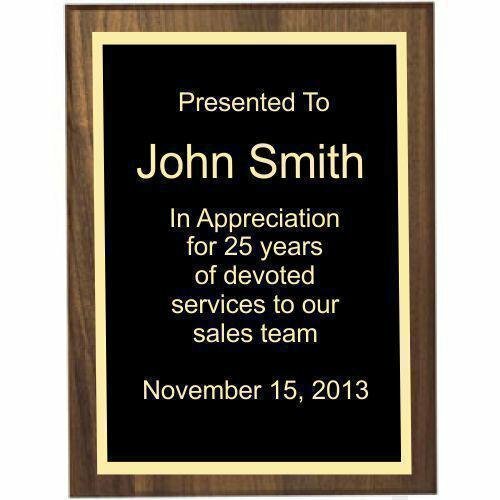 These Plaques give you an individualized way to express thanks to an employee, client, volunteer or even a friend or co-worker. Excellent for employee of the year awards, and salesperson of the year awards. 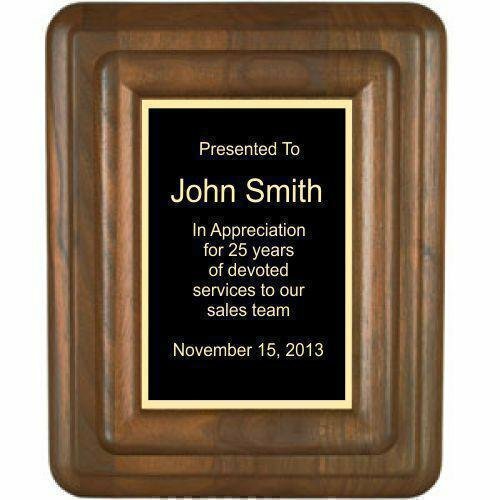 Provide a recognition plaque for the top salesperson of the month. You can't go wrong with these magnificent recognition plaques. 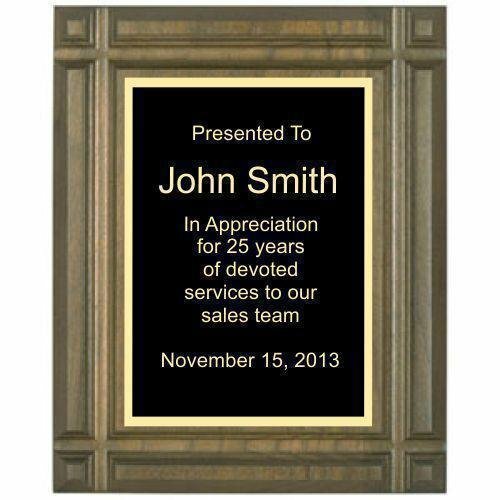 Buying individual recognition award plaques has never been simpler. Our Basic Wall plaque using A Roman Edge Solid Walnut Plaques with your choice of plate color or colors. Available in six sizes. FREE ENGRAVING up to 150 characters. Add your logo for that special personalization.